INSTANT ANTAGONISTS are systemless creatures or beings designed for use in modern supernatural/horror games. Many will be supernatural in nature; some will be (at least nominally) human. Some are truly evil, others simply selfish or immoral, others may be victims themselves. Perfect for modern horror gaming that might need a new twist on old legends. The INSTANT ANTAGONISTS line offers details on each monsters origins, powers and plenty of story hooks to include them in your modern horror games. Lily Sinclaire is a dream come true and your worst nightmare all wrapped up in one. Is she a demon or a witch? 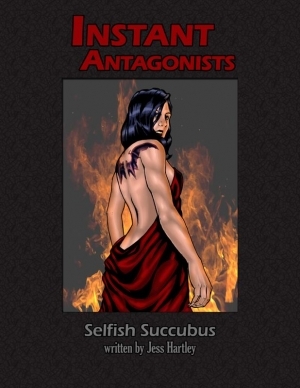 Will she seduce the monster hunters or manipulate them into fighting against her enemies? When comes to magic, how far will a mage go to learn her secrets? When Lily is around, vampires just might have some competition for the best mortals to feed on. Written by Jess Hartley with art by Jeff Preston. Robert H. (. & P. G.
This title was added to our catalog on November 19, 2009.